Gang we are cancelling the event because it is too cold. We will reschedule. 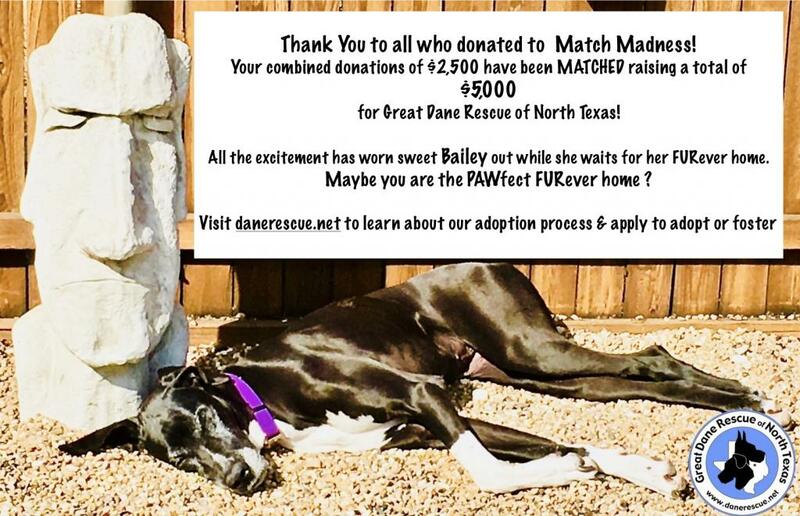 Join us at Three Dog Bakery in Plano from 10am to 12pm on Saturday, April 7th to meet some of our fosters, personal Danes, and volunteers, and learn more about our rescue. 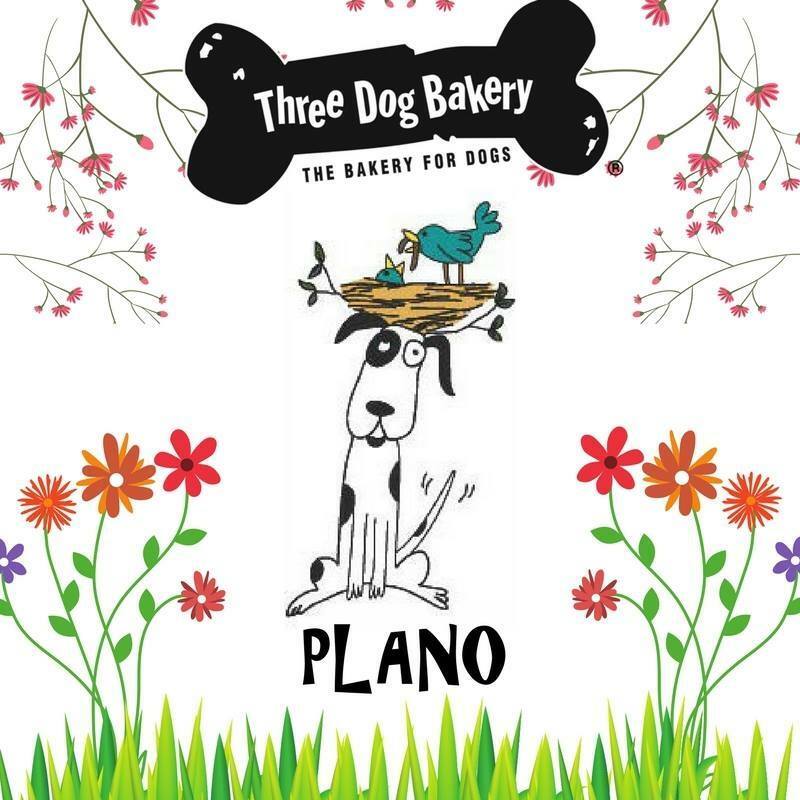 While you're there, pick up some tasty treats for your pups! Please note that we do not do on the spot adoptions at Meet & Greet events. This is an opportunity to learn more about GDRNT and our adoption process, meet some dane loving folks and learn about life with a dane. NOTE that we will be set up out front on the porch. If the weather is questionable or thunder lightening we may need to shut down early for safety. PS Josh is a dane blend still looking for his FURever home! 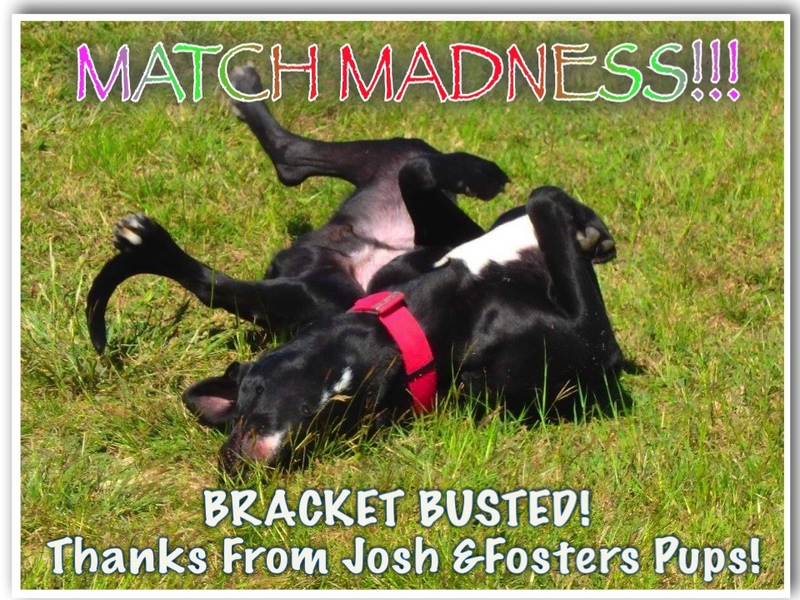 Read more about Match Madness BRACKET BUSTED! UPDATE: Check it out we are at $4,524 of our $5,000 GOAL by March 31st~. 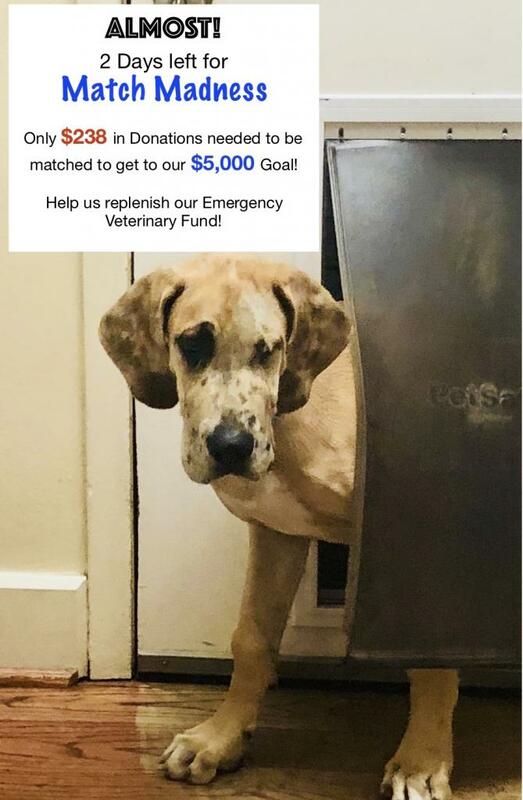 Can you help us beat it! All donations doubled during Match Madness! 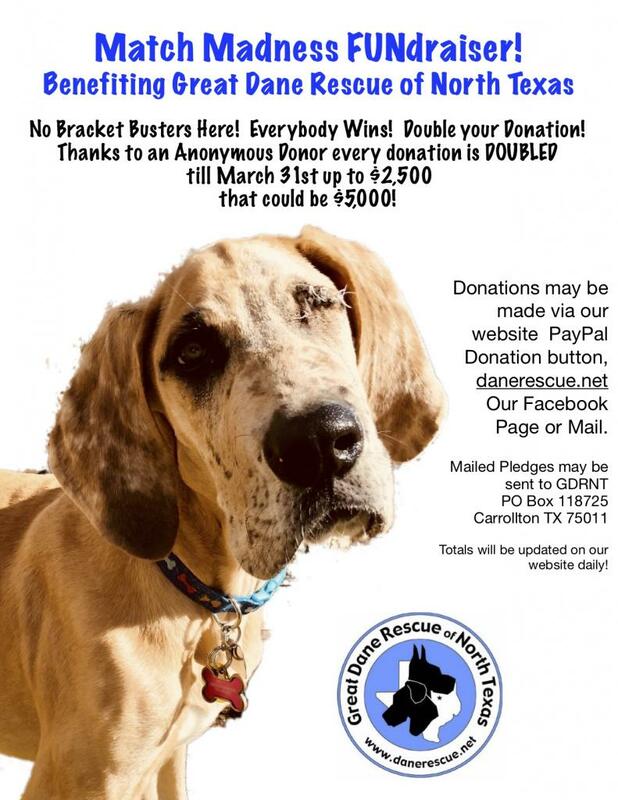 An anonymous Donor is generously willing to match all funds donated between now and 3/31 up to $2,500. so every donation will be DOUBLED! GDRNT can get $5,000! Can you help us get there! In the last two months we have had over $3,000 in ER or Surgical expenses beyond our normal budget. 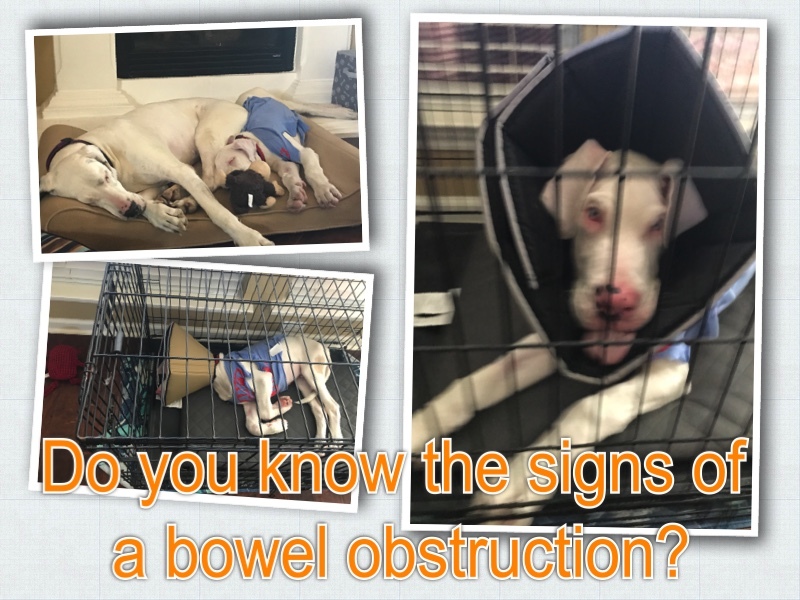 Frosty had emergency bowel obstruction surgery, and is doing PAWsome! Sweet Rudolph came to us with a nasty eye, that needed to be removed! He had no vision in it and feels so much better now that the nasty thing is GONE! WE are also seeing more Upper Respiratory yuck on intake that responds best to expensive antibiotics. Every one of our dogs gets the treatment they need when they need it thanks to our Emergency fund. but now we need to replenish! Read more about Match Madness! Fundraiser CHALLENGE! Read more about FUNDRAISER MATCH CHALLENGE !!! Your donation can be DOUBLED! Bowel Obstruction! An Expensive ER Bill! Read more about Puppy Love? Not so Fast. A lot has changed since this group was started in 2001 but one constant has been the dedication of our fosters, volunteers and supporters. We ask Santa Paws to help us send blessing to all those who work so hard all year round to pread the word of responsible pet ownership, spay/neuter and adoption. We want to wish everyone out there a Merry Chirstmas and Happy New Year. Having a Dane in your life is a special experience with things unique to .. Well 100 plus pounds of furry love. I found this version of Dane's Night Before Christmas and had to share! The only credit I can give is to "crankyfrankie" who posted it on another forum. I think it explains it pretty acurately! The Dane hoovered dinner and prepared for a nap. I yelled to the Dane "quick come in Rover"
He ran up the stairs and knocked me right over! St. Nick turned around and said "HOLY SH*T"
He said "OMG, what does he eat?" let me look in my bag and find you a saddle!" A very big dog with a really small brain. "He wouldn't bite, not even a robber"
I ran to the kitchen to grab him some towels. What a cute Dane, but BOY what a leaner!" while the Dane ate the cookies and knocked over the milk! I ran to my room, Rover beat me to bed! "That guys' really nice but his Dane's just not right!" 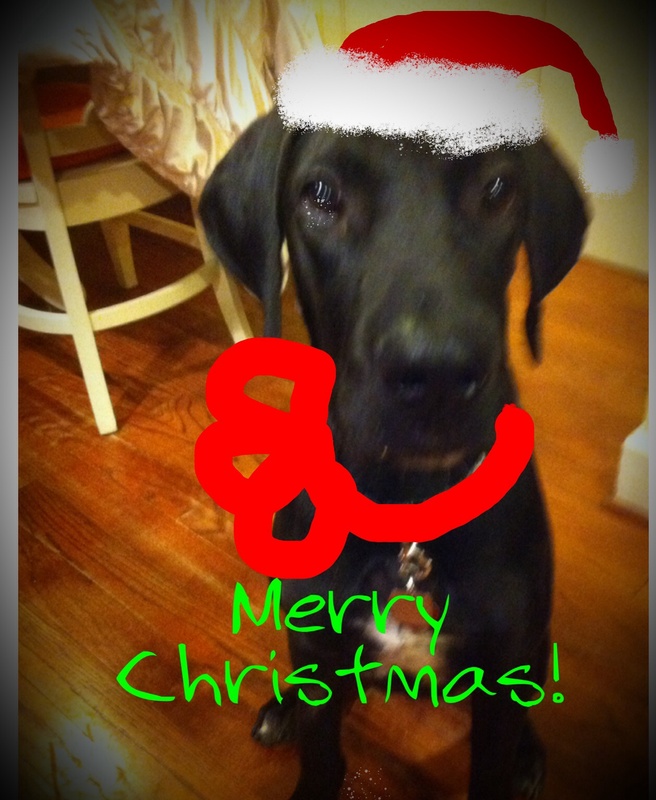 Read more about Tis the Season of Doggy PANCREATITIS! ; How you can Prevent It.